I am a big fan of Swig and Swine. They currently have several locations in the Charleston area: West Ashley, Downtown, Mt. Pleasant, and Summerville. Chef Anthony DiBernardo’s restaurants serve True ‘Cue certified BBQ, barbecue cooked using wood as its only heat source. 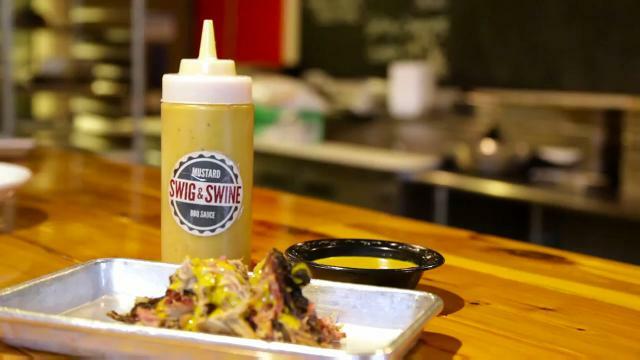 The meat products Swig and Swine serves are terrific, even without any sauce, but the sauces are very good, too. 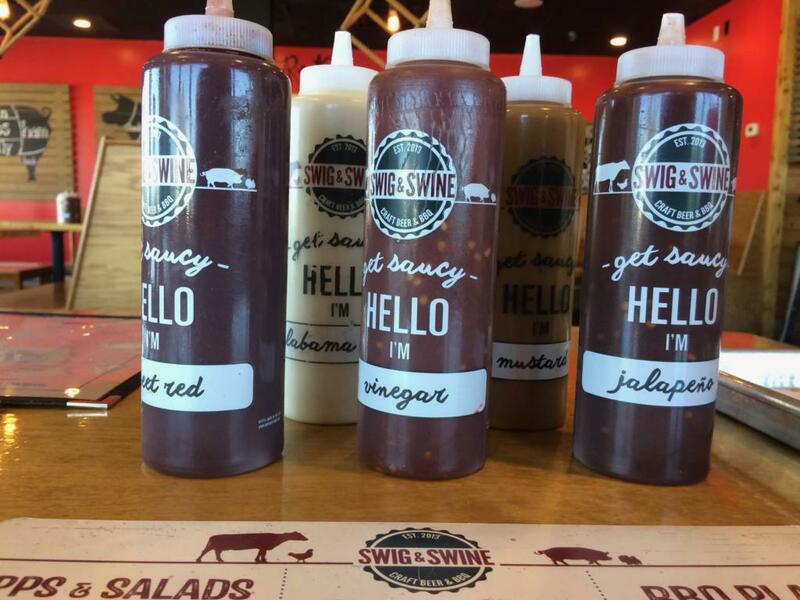 Swig and Swine serve its BBQ without sauce and currently provide five sauces on each table for you to choose from. 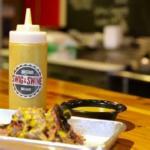 Seen below are the Sweet Red, Vinegar, Jalapeño, Alabama White, and a nod to an SC original, a mustard sauce. It is not a huge leap to assume there are a number of similarities. What I can say is that the finished product definitely has the same look as Swig and Swine’s mustard sauce. In addition, it is important to note that no measurements were provided; however, in watching the video, we have made educated guesses as to the quantity of each ingredient. Those estimates are provided below. But if you’d prefer to make your own estimates, you can watch the video here. Whisk together all ingredients and simmer for 30 minutes.